If Rosa Klebb can stand up against old-school James Bond with a dagger shoe, and Old Greg can drink Bailey’s from a shoe, there’s no reason you can’t put a little Johnnie Walker in your walk. 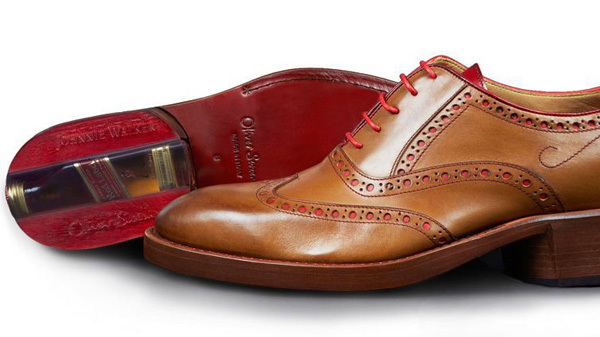 The fine Oliver Sweeney brogue made from Italian calfskin with a leather heel and leather blake-stitch construction has more than just some red accents — it’s got a secret suede-lined whisky compartment that each comes with a mini of Johnnie Walker. 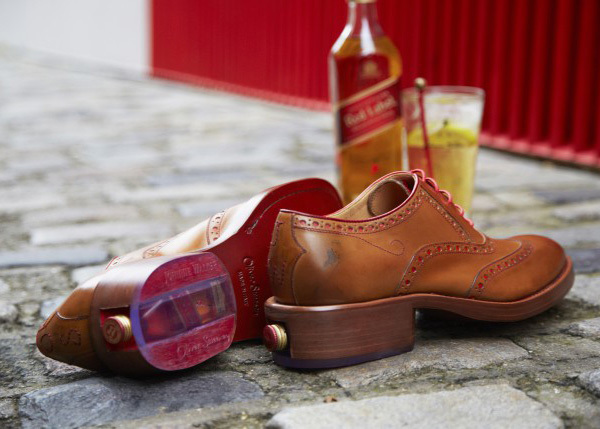 Because the only thing you need more than a pair of shoes is a pair of whisky shots. Not sure on any specifics of the Johnnie Walker label, but you can get tiptoe like a tippler at the Oliver Sweeney store for just $489.